Can Human Explorers Keep Mars Clean, For Science? It would be great to study Mars "on location". You could do as much in a day or two, as our rovers could do in years. But there's a conundrum to face. Humans are host to hundreds of trillions of micro-organisms, and we can't be sterilized like a rover; we would die. Can humans explore Mars without introducing Earth life? What makes Mars so special? 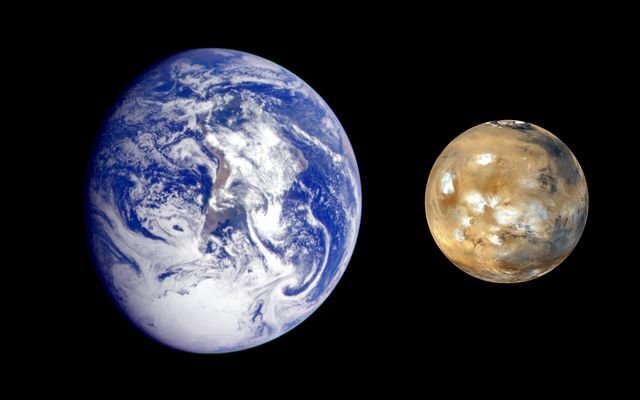 Mars is the planet in our solar system most similar to Earth. It probably had oceans early on, like Earth. Sadly we know almost nothing about the very beginnings of life on Earth. The simplest independently living micro-organisms we know of are amazingly complex, with many types of chemicals interacting together in an intricate dance. These couldn't have formed spontaneously, but we have no idea what their predecessors looked like. The process of continental drift, and billions of years of a warm planet, have erased all traces of them, and it seems unlikely that we can ever find out from studies on Earth. There are many theories for abiogenesis (the origins of life) but there seems to be no way to decide between them using evidence on Earth. Mars lost its oceans early on and has been in a deep freeze ever since. It had no Moon creating impact, and no continental drift (or almost no drift). Some of its early deposits are salts and clays, able to preserve organics for billions of years and have been deep frozen for all that time. Mars may be the best place to find clues to fill the gaps in our understanding. We have only one Earth. We also have only one Mars. Why are our rovers on Mars so slow? We have to drive our rovers slowly on Mars, because of the light speed time delay. This varies from four minutes when Mars is closest to over twenty minutes when it is furthest away. When it is at its closest, you see everything on Mars four minutes in the past, then your responses take four minutes to get back to Mars again, and its another four minutes after that, before you see what happened. Can you imagine driving a vehicle with a delay like that? If it's heading for an obstacle, and you put on the brakes right away, it takes eight minutes before anything happens. Steering around an obstacle is trickier still. After you swerve to avoid it, it takes eight minutes before you can see ir you swerved by the right amount. That's when it is closest to Earth. Most of the time you have a round trip response time of twenty to forty minutes. It 's simply not possible to drive a vehicle on rough terrain with a delay like that. Instead, the rover drivers rely on photographs. Each day, Curiosity's six rover drivers program the rover with its instructions for the next day. Curiosity has a top speed of 90 meters per hour, and in practice is driven slower than that. There is no point in making a speedy rover for Mars when you have a four minutes light speed delay. Similarly the experiments have to be planned out in advance, and simple operations take far longer to do than they would on Earth. Our rovers are sterilized, to at most 300 spores per square meter. That's quite good - but the spore count underestimates the total numbers of micro-organisms. Probably only 1% of the species are spore forming. Over the whole spacecraft, you have hundreds of thousands of micro-organisms on them, in dormant state. Many of these are probably still viable, even after the journey to Mars. That may seem a lot, but compared with the trillions of micro-organisms on a human, they are clean. The numbers involved are small enough so that there is a good chance that they haven't been able to reproduce due to the harsh conditions there. The best sterilized rover ever sent to Mars is the Viking Rover, in the 1970s. It is still considered the "Gold Standard" of planetary sterilization. It was sterilized to less than 30 spores for the entire spacecraft. The rules were relaxed somewhat after that because Mars was thought to be so inhospitable. But then stronger requirements were introduced again, for "special regions" on Mars. How inhospitable is Mars to life? The strong UV radiation, and the thin landscape and dry soil all help. There is water on Mars but it is mostly frozen in the form of ice, and the air is so thin that, even in the deepest locations where the air pressure is highest, it evaporates into water vapour rapidly when it melts. Places warm enough to have liquid water lose their water quickly and become dry over geological timescales. There are no lakes or rivers on present day Mars. You might well think it is impossible for life to survive on such a dry planet, without water. For about thirty years, that was the generally accepted view of most of the experts. Yet, with new discoveries, it's beginning to seem that some lifeforms could survive there. Some lichens gathered from the permafrost layers of the Arctic and high mountains, can withstand the UV radiation, and grow and photosynthesize, with no water. At certain times in the evening and morning the air on Mars approaches 100% humidity and you get brief frosts that soon evaporate. These lichens could capture some of the moisture form the air at those times. Some special salt mixtures also can capture this moisture in a process known as deliquescence. These could create thin films of water a few millimeters thick just below the surface (protected from UV). In these tiny microhabitats, life from Earth, or indigenous Martian life might be able to survive. The Mars surface could resemble the Antarctic "dry valleys" where micro-organisms eek out a slow life in niche habitats, some perhaps with lifetimes of millennia (as in Antarctica), slowly slowly metabolizing and occasionally reproducing, It's certainly a harsh climate, with the UV radiation and all the rest, but it may be just on the edge of survivability for hardy micro-organisms. There is a lot more to this, which I cover in more detail in Might there be Microbes on the surface of Mars? This suggests that we need to take care about introducing Earth life to Mars. Perhaps some of it might be able to survive there and reproduce? If Mars turns out to have no surface life right now, it may well still have "uninhabited habitats" where Earth life could survive and reproduce. We need to be careful about contaminating these too as this could confuse science investigations as well. For instance we discover what we believe to be indigenous Martian life that later turns out to be life we introduced ourselves. Also organics from introduced life could confuse senstive experiments examining deposits of Early Mars. Can we take our "rovers litter" away again? The visually obvious litter of our rovers, aeroshells, parachutes etc, are things that could be cleared up some day. But the real litter to remove is the litter of our micro-organisms. 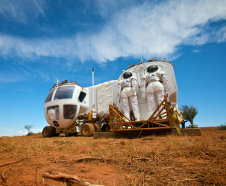 Christopher McKay has argued that we should explore Mars in a biologically reversible way. We must be able to remove any micro-organisms we bring to the planet. With some luck on our side, hopefully we have achieved this so far. The spacecraft we sent to Mars aren't totally sterile, and some micro-organisms are astonishingly resistant, so there are almost certainly many viable micro-organisms from Earth on our spacecraft on Mars. But with any luck, they are all dormant, and could be removed, simply by removing the spacecraft themselves, and maybe some of the soil. There have been a few accidents especially a couple of orbiters that went off course and hit the surface of Mars instead of going into orbit, such as the Mars Climate Orbiter. These weren't sterilized for the surface of Mars, and also hit it hard and so probably broke apart and might have got buried deep. But on the other hand maybe the fiery descent to the surface helped to sterilize them, and luckily Mars is so very inhospitable, it seems at least quite likely that we haven't infected Mars yet. Could humans explore Mars in a biologically reversible way? Spacecraft can be sterilized. But humans can't be. Our bodies have about ten trillion human cells, but these are far out numbered by the hundred trillion non human micro-organisms in the human microbiome. You are only 10% human, in a way (numerically anyway). Many of these micro-organisms are beneficial, and there is no way we can remove them all without killing ourselves. The richness of species is amazing too. There is a big project to try to classify all the different species in the human microbiome. It's estimated that there are about 10,000 species altogether in many different genera. Many of these are not well understood or studied. There are about a trillion micro-organisms on your skin alone, in about a thousand different species. You might think that all these micro-organisms would be adapted to live on a human, and so, have minimal chance of surviving on Mars. But the diversity of life coexisting with humans is astonishing, and micro-organisms can have hidden capabilities. Many can do extra-ordinary things when tested. The most famous is Radiodurans, "Conan the bacterium" which is found in soil, on clothes, in many different places. Yet it can also survive the high levels of radiation of a reactor cooling pond, and the cold of Antarctica, and many extreme conditions, it's known as a "polyextremophile". It's noted for its remarkable ability to repair its own DNA when it is damage by radiation, which it can do within a few hours. Radiodurans itself might not do well on Mars, because it needs oxygen, but there are other extremophile micro-organisms that could do well on Mars. You can't tell if one of the micro-organism in the human microbiome might be one of them. Recently, for instance, in a search for micro-organisms best able to reproduce and grow in the thin Martian atmosphere, one of the top candidates was a micro-organism collected from a human tongue. It far outperformed almost all the other candidates. Nearly all other micro-organisms stayed dormant. You could never have predicted that. Our space habitats also have many micro-organisms in them. The ISS is kept as clean as possible using filters and other methods, to help prevent problems with micro-organisms with earlier space stations. Then you have micro-organisms in food, and in the air we breath. A human habitat will be full of micro-organisms. One way around this might be to visit the driest most inhospitable places on Mars. But we know so little about Mars. Even in the driest locations there just possibly might be some micro-habitats based around deliquescing salts in the sand dunes, this is the idea called the advancing sand dune bioreactor. Then, micro-organisms on Mars could get imbedded in a crack on a speck of dust, this was a concern of Carl Sagan, Joshua Ledeberg and Elliot Levinthal back in 1967. What they said is still valid today. The dust is rough and complex in appearance, with plenty of crevices to shelter micro-organisms. It's also rich in iron oxide which is good for shielding from UV light. 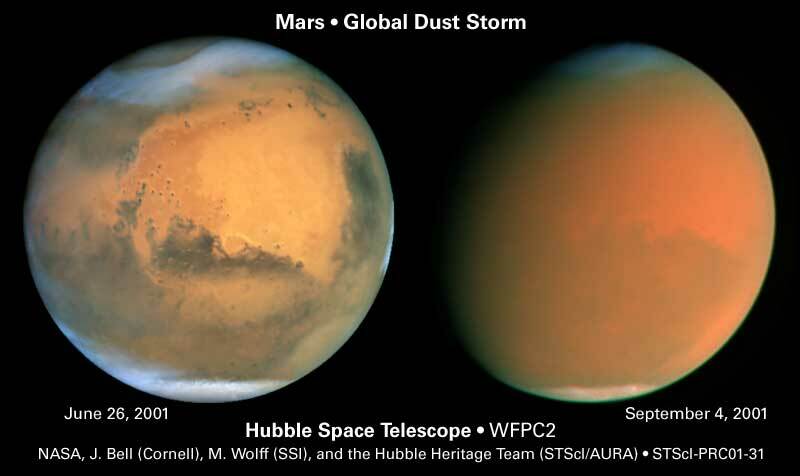 A global dust storm like this one could transport dormant micro-organisms throughout Mars imbedded in dust grains and protected from UV light by the iron oxide in the dust. They might then find some habitat which they can colonize. Imbedded in the dust, and carried around Mars in a dust storm, a micro-organism could, potentially, end up anywhere on Mars. The Expose E experiments have shown that some micro-organisms can survive for months or years on the surface with a small amount of protection from the UV radiation. It would surely need a fair bit of research to assess how much of a risk this is, but if a human habitat adds large numbers of micro-organisms to Mars, it must increase the risk of this happening. Prospective colonists will target the higher latitudes of Mars with ice reserves, to melt and use for water. These are the very latitudes where life is most likely to be able to survive on the surface of Mars or just below it. Scientific explorers on Mars would be most interested in places where life can survive, or places where traces of past life can be found. It's one of their main motivations for going there, as the search for life will require delicate observation and experiments. But those are the very places humans should keep away from, to keep them pristine. To give an idea of the level of sterilization that might be needed, the current COSPAR guideline is that a spacecraft that visits a place on Mars where life might be able to grow must have fewer than 30 spores on the entire spacecraft. (This is the Viking level of sterilization). That's true to some extent for the search for past life too. If conditions are dry enough, maybe Earth life won't reproduce, but still, the most sensitive life detection experiments would get confused if a single dormant terrestrial micro-organism lands on the sample. The proposed astrobionibbler, to take an example, is so exquisitely sensitive, it can detect a single amino acid in a gram of soil. This is an especially acute problem for Mars, because it is so borderline hospitable. If there is any present day life it is probably sparse and hard to detect, a few micro-organism maybe with lifetimes of millennia, slowly metabolizing. Any ancient life, it seems didn't last for long enough to build up large easily observable deposits, at least none have been found yet. So, detecting early life may also require delicate measurements of exquisite sensitivity. Can this problem be contained? 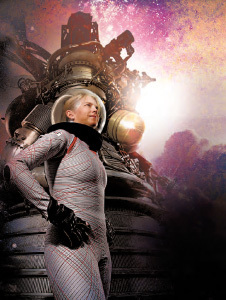 How can we explore Mars without contaminating the surface and spoiling our own experiments? We can't sterilize ourselves like a rover, or we die. The only solution seems to be containment. If the humans never leave the habitat, and the habitat is totally self contained closed system, like a deep see diving bell, and the outside well sterilized,perhaps life could be contained. But what's the point in that? You might as well be in orbit. The problem is, what do you do when you want to exit your spacecraft? The Suitport looks promising, at first anyway. It's designed to prevent dust from entering the spacecraft. Could it be modified to prevent micro-organisms leaving the spacecraft? It's an ingenious idea. Instead of a conventional airlock, you have a hatch in the spacecraft, and a hatch on the back of the suit, which join to each other back to back. The suit is permanently attached to the outside of the spacecraft when not in use, and the outside of the suit never contacts the inside of the spacecraft. You crawl into the suit through a hole in its back. Two hatches are closed behind you, one to close off the back of your suit, and the other to close off the spacecraft. The air between the two hatches is evacuated, or allowed to escape into space, and you then detach from the spacecraft. It would certainly reduce contamination. But you still have the cubic foot of air between the two hatches, which can't all be evacuated, because you can never get a perfect vacuum. Some will end up venting to Mars. Also the two surfaces on the inside of the hatch also get exposed to the inside of the spacecraft, then get exposed to the surface of Mars when the spacesuit separates. It doesn't seem to be designed to totally prevent forward contamination. But perhaps some future version of it can be? What if you kept the two halves of the hatch permanently joined together, and only separated them when the spacesuit separates from the habitat, and sterilize the interior before the mission launch? Then, you could, heat sterilize the edges of the hatch whenever you put it into position. That might be worth research. But however good the hatch is, it's no good if your spacesuit leaks micro-organisms. Most people probably don't know this, but modern spacesuits leak continuously. The spacesuits astronauts use on the ISS lose about eight litres of air every hour ( 136.5 sccm). More flexible spacesuits designed for walking, with bearings at the waist, ankles, knees, arms etc leak at a higher rate. 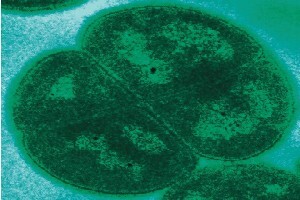 Ultramicrobacteria are well under a micron in size. Is it possible to contain sub micron sized particles in a leaking suit like that? Perhaps other designs of spacesuit could solve this? I wonder if some variant on the biosuit could be designed with a flexible layer able to contain micro-organisms at sub micron scales? Though we haven't got there yet, perhaps it is possible that future technology could solve these issues and lead to spacesuit designs that can be used on Mars without contaminating the planet. What happens if you have an accident on Mars? It is one of the advantages of the biosuit for instance, that you can survive tears in the fabric. And whatever style of spacesuit, you may have an accident in it, minor or major. You might well survive, but in the process of rescuing you, then Mars may well get contaminated. Protection of individual human lives would go before protection of Mars in a situation like that. But that suggests that we run a risk of contaminating Mars any time someone has a serious accident on the surface. Perhaps space suit design could solve that too, with some form of self healing technology. But that still leaves one more problem, and that's a major problem. What happens if your ship crashes? Quite a few of our unmanned spaceships have crashed on Mars. Recent ones include the Mars Climate Orbiter, the Mars Polar Lander, and Beagle 2. NASA has had a long string of successes since its last crash in 1999, nine successes so far including Curiosity. But it was not for nothing that the Curiosity landing was called seven minutes of terror. So what happens if a human occupied ship crashes? It is hard to see how that situation could be biologically reversible, not if the human bodies are exposed to the sand and dust. 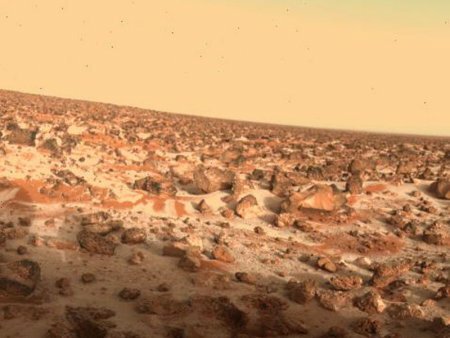 By the time a rescue mission gets to Mars to remove the contamination, some would have spread far over the surface in the Martian dust storms. Perhaps some future technology could lead to self-healing spaceships that can't be breached in a hard landing, but we are far from that yet. This seems to rule out aerobraking at Mars as well, because for aerobraking you have to fly close to the planet. It seems unlikely that aerobraking could have close to 100% guarantee of success in the near future. Maybe 95% say, or 99% but that's not good enough for planetary protection. Early human pioneers would surely take significant risks to travel to Mars. But if their actions risk making Mars's early history or present day life harder to study, this is a setback not just for them or their nation, but for all nations on Earth. How can any individual or nation take this responsibility on themselves? Like many others of my generation I grew up reading stories about human adventures on other planets such as Mars. I wish in some ways that those futures could come true. However, those are science fiction, and fiction writers don't get everything right when they try to imagine the future. Sadly, it doesn't seem that we could explore the surface of Mars with humans in a contamination free way, in the earlier stages when the main emphasis is on studies and science value. Right now, Mars is valuable as a pristine planet, if we want to keep it that way, humans probably have to be kept away from the surface. However, the situation isn't as bad as you might think. Yes we probably should keep away from the surface from Mars. But don't need to be "hands off" Mars totally. With modern technology we have a rather wonderful way around all these issues. The idea is - at least during the current exploratory stage, don't send humans to the surface, send telerobots. You do have humans but they operate the telerobots from Mars orbit. Telerobots are machines that humans operate remotely from a distant location. So when an astronomer in the UK guides a telescope in la Palma that's a form of telerobotics. When in a sporting event or natural history program, the cameras are guided remotely to follow the action, that's a form of telerobotics too. In that sense we are all accustomed to it. However, the technology is far more advanced than that. Surgeons on one continent use telerobotics to operate on a patient in another continent, in a pioneering case, in 2001 surgeons in the US operated on a patient in France. Telerobotics are also used for deep sea drilling, and many other tasks. Machines on factory floors are often controlled remotely. Most interesting of all for Mars exploration are humanoid telerobots. These are in an early stage of development but development is rapid. The idea is that you look out through the eyes of your telerobot using immersive VR technology. You feel what your telerobot feels through "haptic feedback" methods for transmitting touch back to the operator. Eventually, as the technology matures, you could walk or run endlessly across the Martian landscape, while in reality you just stay in one spot in your habitat. You can do this already with an omnidirectional treadmill for virtual reality. The virtuix omni - a low cost omni-directional treadmill used for immersive experience by gamers. You would have artificial gravity through rotation of the habitat. The easiest way might be through a tether system, or by keeping the rocket stage attached and rotating that. Artificial gravity is different for normal gravity for a small habitat because of the Coriolis force, and other effects, which could be disconcerting in a small habitat or with a short tether. But so long as the tether is, say, tens of meters long, Coriolis forces should be small enough not to be a problem. As the tether gets longer, you can more and more nearly imitate natural gravity. We can't operate telerobots from Earth. With the minimum of 4 light minutes delay it would be impossible. But from Mars orbit all that changes. The recent Exploration Telerobotics Symposium organized by NASA recommended strongly that the first human orbital missions around Mars should use telerobotics, it would be a missed opportunity not to do that. These telerobots could be built to have superhuman powers. Stronger than humans, or more dexterous. Able to hold a heavy load for hours without tiring. Able to fly or equipped with jet propulsion. Extremely small, able to go into tiny spaces, or huge, much larger than a human. One spin-off of all the research needed to improve telerobotics for Mars would be improved telerobotics for Earth use as well. Their vision would be enhanced. That's especially useful for Mars because the landscapes there are a dull muddy red-brown with little variation of colour. The photos of Mars we are used to are digitally enhanced to resemble the lighting on Earth, to help geologists identify rocks. Also as a side effect, everything you see is streamed and could be recorded, so that no information is ever lost. There is no need to get into a spacesuit to operate them. Also one operator can control telerobots on several different areas of Mars. They could be semi-autonomous so you would control one of them, while leaving the others to get on with some more routine operation such as analysing a sample. It's safer too. If your telerobot has an accident on the surface, and is damaged, perhaps it could be repaired, or its parts used to repair other telerobots. Whatever happens, the human operator doesn't get injured or die. It is also much cheaper than a surface mission. One possible idea for a telerobotic mission to Mars is HERRO. This mission puts the humans into a Mars capture type orbit - a long elongated orbit which is easy to get into from Earth. It's actually easier to get from Earth to a Mars capture orbit than to get to the surface of the Moon, in terms of the amount of rocket fuel needed, and far easier than a low Mars orbit or a mission to the surface. The orbit can be carefully chosen to be optimal for telerobotic operation, with a reasonable amount of time each orbit close enough to the surface to operate the telerobots. There have been many other ideas like this including Robert Zubrin's Athena double fly by, and proposed missions by Russia and another one by Lockheed Martin. In a few days of a human mission employing telerobots, we could discover as much about Mars as we could discover in many years of conventional rover exploration from Earth. I think the general public would love telerobots, especially children. I can see these missions generating more long term public interest and being more newsworthy than actual humans exploring Mars. There is no urgency to colonize the surface of Mars. There are resources available in space in asteroids, just as there are on planetary surfaces, with asteroids of different types to supply just about anything we need eventually. Over time orbital missions can build up to large space colonies. Longer term, as humans expand, space habitats have potential to house more humans than the planetary surfaces. There is enough material in space to build habitats for trillions of colonists, with as much space to live in as we enjoy on Earth, way beyond the comfortable capacity of any planetary surface. I will go into that a bit more in another post. Might there be Microbes on the surface of Mars?. How Valuable is Pristine Mars for Humanity - Opinion Piece?